The word “supercar” brings to mind a striking, powerful machine with one of two badges on its bonnet: a prancing horse or a raging bull. Despite the myriad of other automakers now competing in the high performance vehicle space, Ferrari and Lamborghini have achieved legendary status based on decades of toil, drama, and passion. Most supercar enthusiasts can confidently cite their favorite cars from each Italian automaker, but few know the rich history of both brands. Well, here’s your chance to drop some knowledge on your friends. Read on to learn about the heritage, models, and future products of Ferrari and Lamborghini. 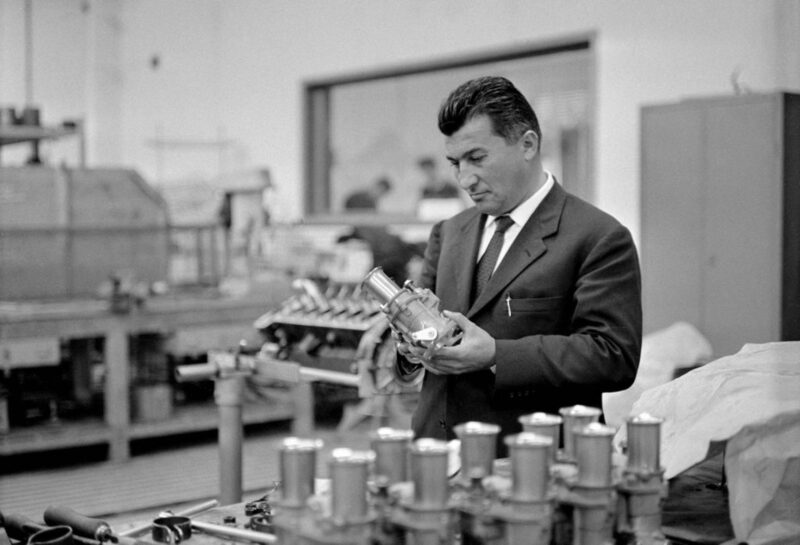 Ferruccio Lamborghini was born in 1916 to a family of grape farmers. His interest in mechanics eventually led him to form a business making tractors following World War II. As Lamborghini’s business (which grew to include other appliances) flourished, he became very wealthy. Lamborghini began collecting and racing sports cars, including those of fellow Italian Enzo Ferrari. As he drove and studied some of his Ferrari road cars, he perceived faults in their engineering. Lamborghini decided to share his constructive criticism with Ferrari, but was rebuffed. 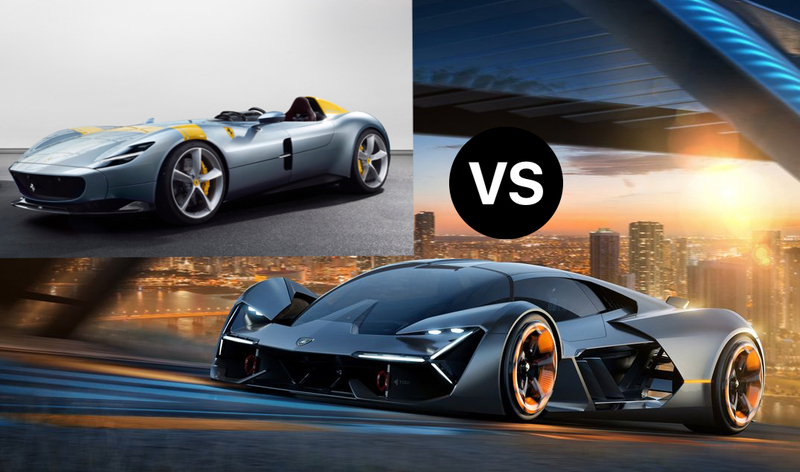 Insulted by Ferrari’s response, Lamborghini decided he would build a better sports car (and show his countryman a thing or two). Automobili Lamborghini was founded in In May of 1963 and a new factory was built in Sant’Agata Bolognese (where the company operates to this day). Lamborghini hand-picked talented engineers, including Giotto Bizzarrini, who had recently developed some of Ferrari’s engines, to begin work on his first car. Six months later, at the Turin Motor Show, the Lamborghini 350 GTV was introduced. After selling 120 units of the production 350 GT, Lamborghini created a new version with a larger engine, new gearbox, and 2+2 seating configuration. This 400 GT model sold in much greater numbers and helped put Lamborghini on the map. With Lamborghini’s operation expanding, its founder sought fresh engineering talent. Ferruccio put the young Paolo Stanzani and Gian Paolo Dallara in charge of his technical department. Stanzani and Dallara looked to the racing world for inspiration and eventually cooked up a 2-seater sports car that would rock the motoring world. With the 400 GT’s 12-cylinder engine transversely mounted behind the cockpit and drilled and welded sheet metal forming the lightweight chassis, this concept sports car debuted at the Turin Motor Show. Famed coachbuilder Nuccio Bertone saw the chassis and approached Lamborghini about building a body. 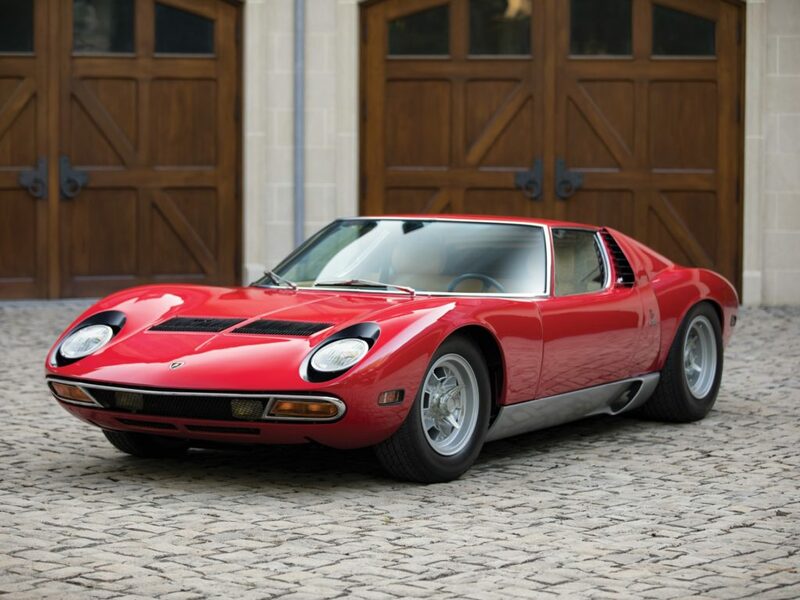 With the help of Lamborghini designer Marcello Gandini, Bertone formed the Miura P400. The car’s debut at the 1966 Geneva Motor Show made Lamborghini an overnight sensation. Lamborghini went on to add the Islero and Espada before introducing another icon at the 1971 Geneva Motor Show. The LP 400 (better known as the Countach) pioneered the wedge shape and became the dream car of children across the globe. After Ferruccio’s departure from Automobili Lamborghini in 1972, the Urraco and Silhouette models were added. Financial difficulties led to Automobili Lamborghini’s bankruptcy in 1980, but a year later, Nuova Automobili Ferruccio Lamborghini SpA was born with new investors. The Jalpa coupe and Lamborghini’s first off-road vehicle, the LM002, kicked off the 80s, but further financial struggle led the company to change hands again – this time falling under the Chrysler umbrella. In 1990, the sleek, potent Diablo was introduced as the successor to the Countach. In 1994, Chrysler suddenly offloaded Lamborghini to a group of Indonesian investors, who sold the company to its current owner, Audi, in 1998. At the dawn of the new millennium, Lamborghini was ready to reveal its Diablo successor. The Murcielago was more dramatic than the Diablo – and significantly more powerful. A little brother to the Murcielago was added in 2003 to broaden the automaker’s appeal. The Gallardo featured a 500-horsepower V10 developed by Audi and permanent all-wheel drive. 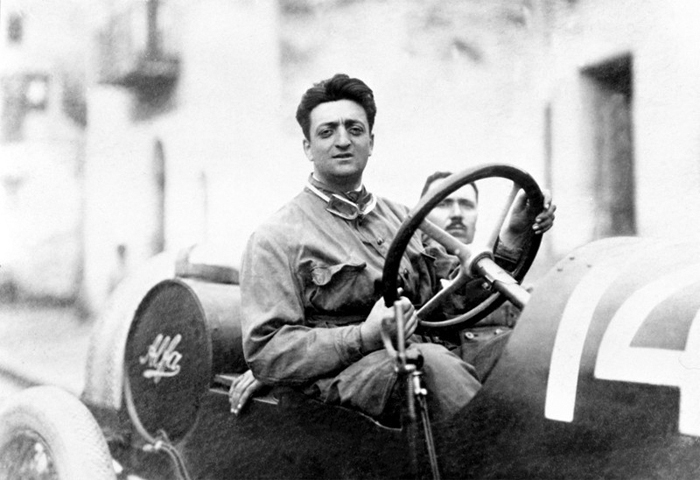 Enzo Ferrari was born in Modena, Italy in 1898. From a young age, Ferrari was interested in motor racing. After starting his own racing career in 1919, Ferrari became a works driver for Alfa Romeo. Five years later, Enzo founded Scuderia Ferrari as Alfa Romeo’s official racing division. Alfa Romeo eventually renamed its team Alfa Corse and made Enzo its head, but the enterprising Italian had other plans. In 1939, Enzo left Alfa Romeo to form Auto Avio Costruzioni in Modena. Ferrari built his first car, the 815, and competed in the 1940 Mille Miglia. World War II temporarily halted Italian industry and motor racing, leading Ferrari to move his operations to Maranello in 1943. After the war’s conclusion, Ferrari set about building his first production car, the 125 S. The 12-cylinder car achieved its first victory at the Rome Grand Prix in 1947. Scuderia Ferrari’s racing success continued, with its first endurance win at the 1948 Mille Miglia and its first 24 Hours of Le Mans victory in 1949. Ferrari’s first Formula 1 world championship came in 1952 with driver Alberto Ascari. The loss of Enzo’s son in 1956 and six of his drivers between 1955 and 1965 put immense strain on Ferrari’s founder, but the company continued to flourish in motor racing. In 1961, noting production difficulties, Ferrari began negotiating a sale to Ford Motor Company. Enzo backed out of the deal at the last minute, however, infuriating Ford and igniting a fierce racing rivalry (guess Enzo had a knack for making enemies). In 1969, Enzo sold half his company shares to Fiat and resigned as president in 1977. In the 1970s, Ferrari’s first mid-engine V8 road cars hit production, including the 308 GTB, 308 GT4, and 308 GTS. The ‘80s brought significant changes to Ferrari. Fiat increased its stake to 90 percent, Enzo passed away in 1988, and road car performance leveled up. 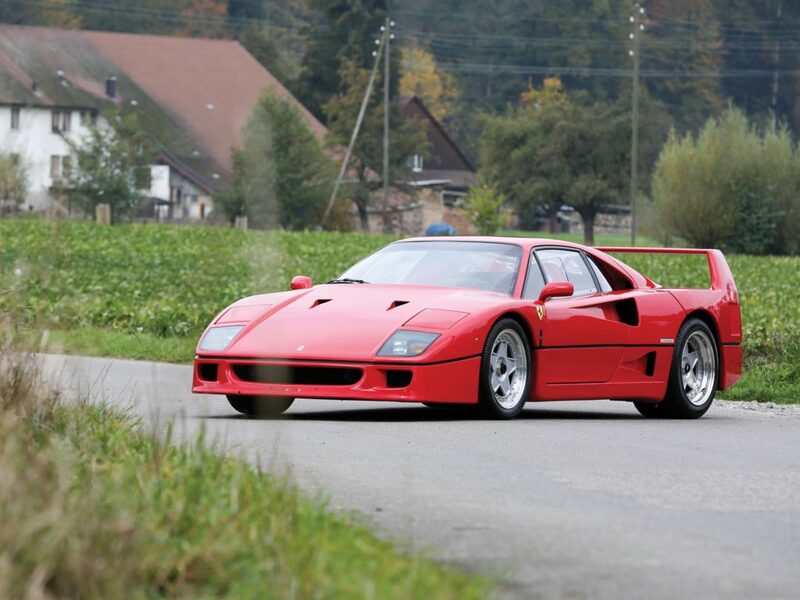 Vehicles like the 288 GTO, Testarossa, and F40 brought the automaker into the modern era of style and power. Things got a bit more curvaceous in the 90s, with the 550 Maranello, the F50, and the 360 Modena. The 2000s saw a return to form for Ferrari in motorsport, with three 12 Hours of Sebring victories, one 24 Hours of Daytona win, and 13 total F1 world titles. On the commercial side, the Ferrari Enzo pushed the company performance benchmarks, while the F430 and its successor, the 458 Italia, broadened appeal. As a tenured member of the Volkswagen Group (owners of Audi, Porsche, Bentley, and others), Lamborghini is selling more cars than ever before. At present, there are only three series production models (and several variants of each): the Urus, the Huracan, and the Aventador. 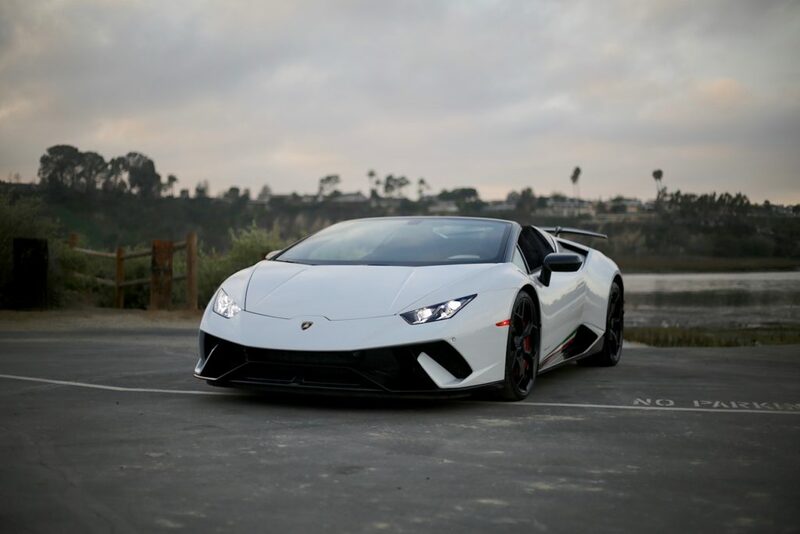 The Huracan succeeded the Gallardo in 2014 and continues to boast a naturally aspirated V10 motor. A refreshed version of the car was announced this year with fresh bodywork, improved interior technology, and an uprated engine. Now making the same 631 horses and 443 lb-ft of torque and the track-primed Huracan Performante, the Huracan Evo is big gun indeed. While the Evo makes the same power as the Performante, it goes without its innovative aerodynamics system. In short, ALA (Aerodynamica Lamborghini Attiva) is a method of dictating how and when air passes through or around the car via active valves. This system can decide when more downforce or less drag is needed and can even simulate torque vectoring. Since replacing the Murcielago in 2010, the Aventador has remained Lamborghini’s top dog supercar. Now in its final model year before a successor is announced, the Aventador is more aggressive than ever. Specifically, the SV Jota version produces an insane 759hp and 531 lb-ft of torque from a naturally aspirated 6.5-liter V12. The Jota also has a more sophisticated version of the ALA system – and it looks wild. The most recent addition to the Lambo fold is their second production SUV – the Urus. While following in the footsteps of the LM002, the Urus is far more refined. Engineered with space for four full-size adults and the versatility to handle a race track and a mountain pass in a single day, Lamborghini says the Urus is the world’s first super SUV. Ferrari continues to compete in Formula One, though with much less success than the early 2000s. The road car business, however, continues to succeed with new models, variants, and millions of adoring fans. At present, Ferrari has four core models: The 812 Superfast, GTC4 Lusso, 488 GTB, and Portofino. Replacing the unattractive California in 2018, the Portofino is a front-engine, rear-drive drop-top with improved looks. Though Ferrari’s entry-level model, the $215K hard-top convertible packs 591 horsepower from a twin-turbo V8 and rockets to 60 mph in 3.1 seconds. A step up from the 2+2 Portofino is Ferrari’s 458 successor – the 488 GTB. Though wielding the same engine as the Portofino, the GTB produces 661hp and uses its mid-engine setup to corner with incredible precision. A lighter, more powerful 488 Pista version is currently on sale with 710hp and zero mercy. If your Ferrari needs at least an ounce of versatility, consider the GTC4 Lusso. Available in V8 and V12 versions, the GTC is 680hp of shooting brake sexiness. The replacement for the FF is intended for high-speed cruiser more than setting fast lap times, as is evidenced by its luxurious interior and heftier proportions. 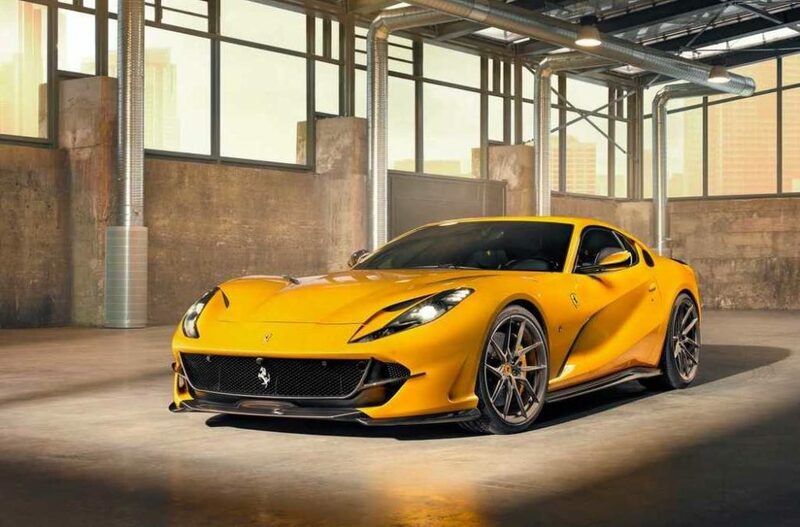 Ruling the Ferrari lineup in power and panache is the 812 Superfast. A 6.5-liter V12 supplies 789 horsepower to the rear wheels via a seven-speed dual-clutch automatic transmission. From a dig, the Superfast will hit 60 mph in 2.8 seconds and top out at 211 mph. On top of its power, the 812 is a seriously pretty car with all the right curves and edges. 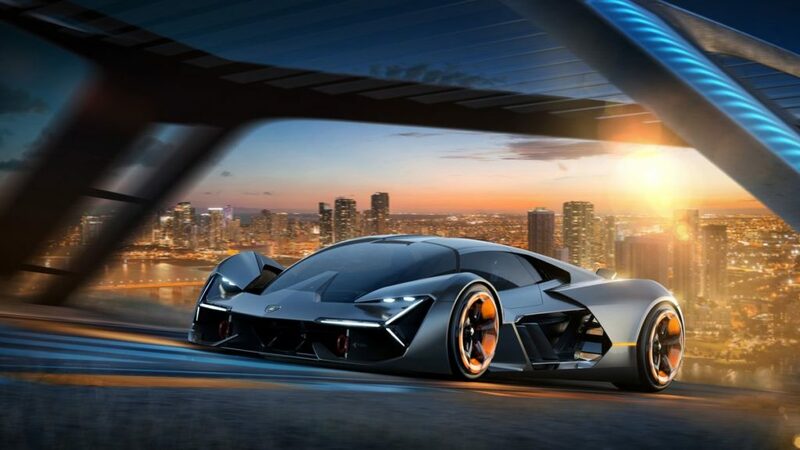 Lamborghini has committed to retaining naturally aspirated and 12-cylinder engines for as long as it can, but to do so, it will need to embrace electric assistance. We already know the Aventador’s successor will feature some type of hybrid V12 and will weigh more than the current car. Even with extensive use of carbon fiber and its patented forged composites, the additional heft of electric motors and batteries will impact performance. The only answer (for now) will be to add power (oh darn). To look a bit further into the future, consider the recently revealed Terzo Millennio. Fully electric, visually arresting, and featuring lightweight body panels that store energy like batteries, the Terzo is a brilliant vision of the future. Other highlights include in-wheel motors, damage-detecting build materials, and an electric sound that’s almost as appealing as an internal combustion engine. Like Lamborghini, Ferrari is embracing electrification for its next round of sports cars. Up to 60 percent of its vehicle range will be hybridized by 2020 and all models will gain electric help before 2025. Ferrari plans to expand its model range significantly – especially the grand touring (GT) category, but with increases in its model prices, it expects it will remain ultra-exclusive. The Italian automaker will also adopt semi-autonomous driving technologies but claims it will retain the pleasure of driving. 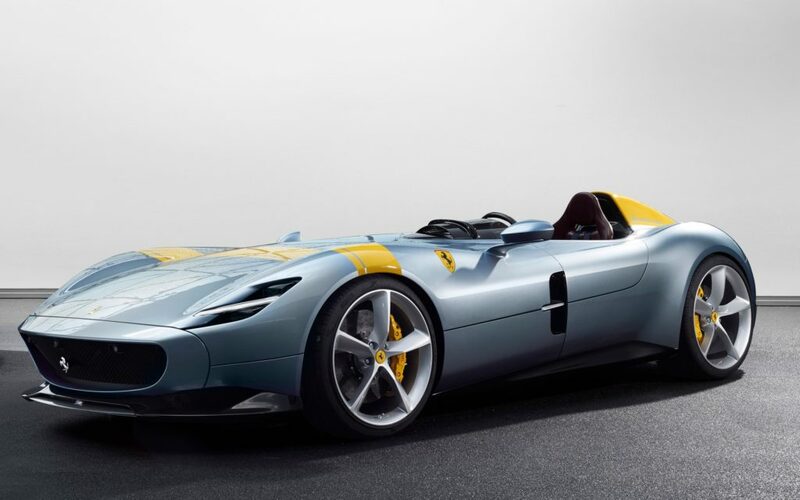 As for specific models, the most anticipated new Ferraris are a pair of limited-production cars known as the Monza SP1 and SP2. Both pillar-less, windshield-free supercars, the only real difference between them is their configuration. The SP1 has a single seat while the SP2 has room for a passenger. Instead of windshields, the cars use an air channel that directs wind over the driver and passenger (SP2)’s heads. Both cars are powered by Ferrari’s naturally aspirated V12 engine and come with a tailored racing suit for the driver.